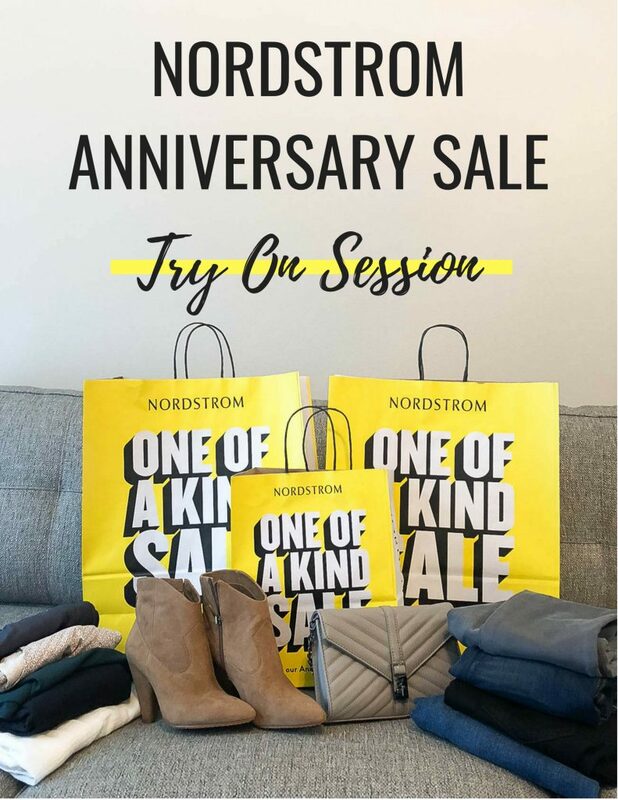 As promised, I’m bringing you another Nordstrom Anniversary Sale Try On Session today. 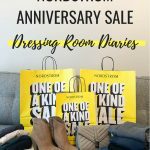 These outfits feature items from my online order, plus a few repeats from yesterday’s dressing room diaries. A few of these outfits were also featured on Instastories yesterday, but I tried to mix it up a little and create new outfits for those of you who saw them over on Instagram. I also worked with some fabulous local photographers and will be bringing you some fun fall looks this week featuring some of my purchases. Be sure to keep checking back, because I have lots of fun sale posts planned this week AND on Wednesday, I also will have a little giveaway! These boots were my investment piece purchase this year. I have always wanted a pair of Stuart Weitzman boots and fell in love with these the moment I saw them in the catalog. It’s the most I have ever spent on an investment piece during this sale, and I’m so happy with my purchase. These boots are beautiful! I styled this turtleneck two ways – casual and work a few pics down. It’s a great basic layering piece and can also be worn alone. It’s thin and lightweight, so perfect for warmer fall days. An outfit full of pieces you can wear now and in fall! 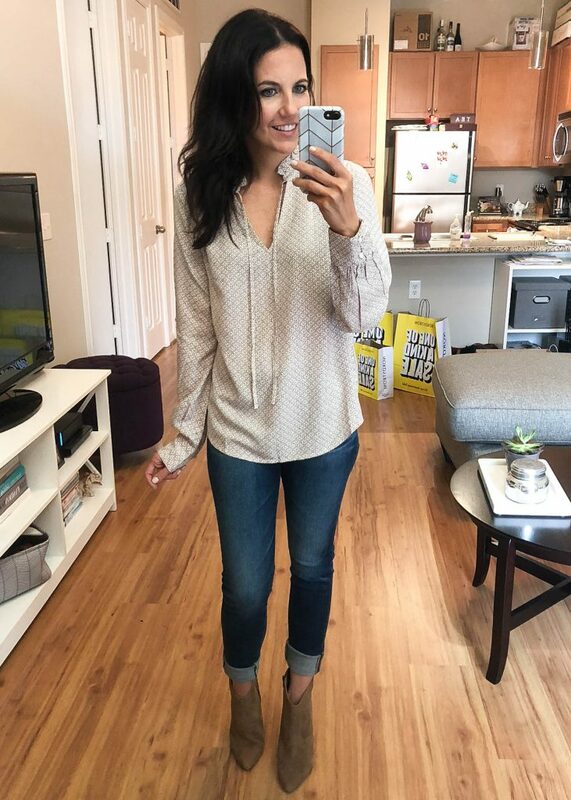 These gray jeans fit like a dream! I love owning gray jeans as a break from the usual black and blue shades. This gray crossbody is my only bag purchase this year. I wanted a neutral bag and fell in love with this shade. I also like that the metal is darker so it blends in well with my outfit. A little workwear look that can work for both summer and fall. 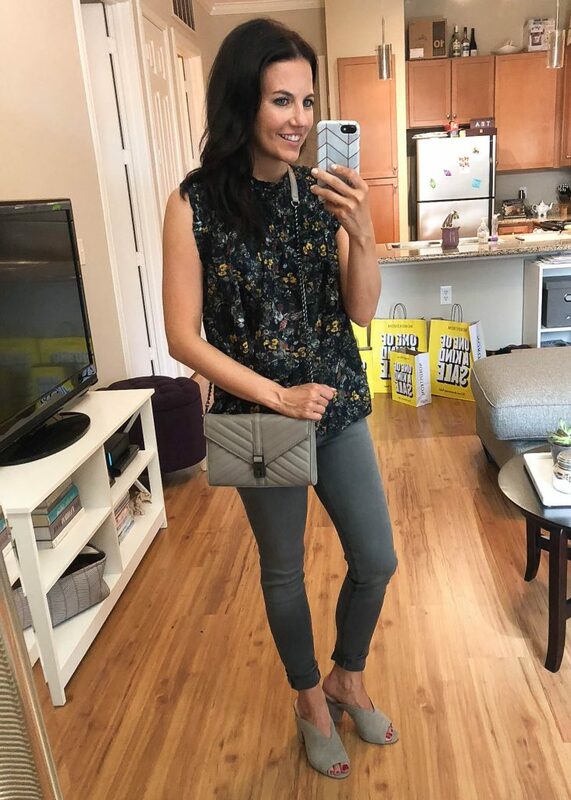 This teal top is a great closet staple and comes in a few different colors. You can wear it alone or layer it under a leather jacket or cardigan. These pencil skirts are one of my favorites for work. I own a few other colors from previous sales. I accidentally ordered the regular version which is why it’s a little long on me, and I’m waiting for the petite to come back in stock to re-order. I love all 3 of these items, but each one has a small area for improvement for me. The jeans are a little big, and I would need to go down a size. The gray top is super low cut, so you might need a cami underneath or your bra will show. The booties are super adorable, but I’m not sure I love the odd line across the front of the ankle. The jeans I will probably return since I found a couple other dark pairs I love, and the other 2 items are still up for debate. Truth – I shot this look for the blog too, so you will be seeing it again soon. With everything selling out so fast, I wanted to share this one with you early. I love classic white tops, and this one is a nice lightweight material. These jeans are AMAZING! The perfect dark shade and super comfy. My downside to them is the inside is black, so you can’t cuff them which I love to do with jeans and heels or booties. 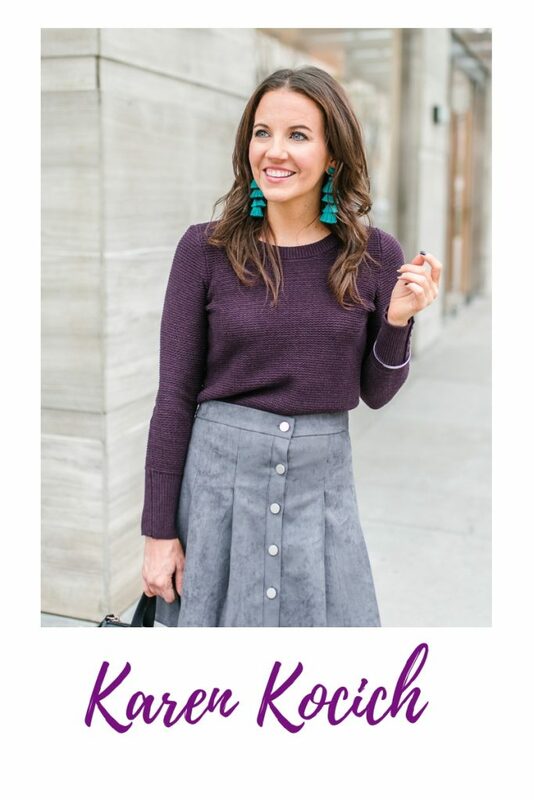 LOVE this work look for fall! You can also add black slouchy boots to make this work in winter. This gray pencil skirt has some really cute details with the buttons and little front slit. 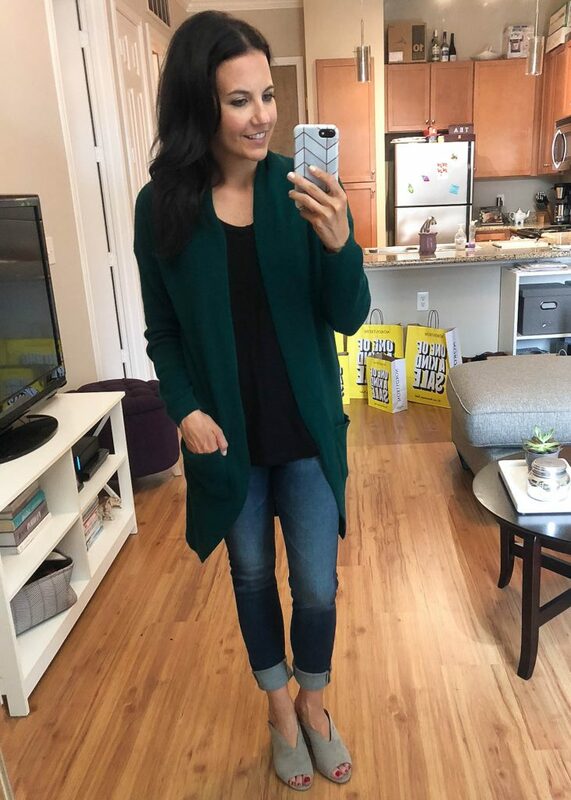 I mentioned yesterday I purchased this green cardigan. With all the cardigans I own, I didn’t have any long ones in green! I also picked up this black tee, because I added a few casual layering basics to my closet this year. I think it runs a little big, so you may want to consider sizing down. These jeans are my top pick for a good everyday blue jean. The perfect color for wearing year round. Another wear now look! I love this gray and navy combo! This lace details on this top are even prettier in person. 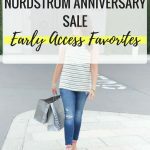 I love buying new fall items, but always include a few wear now items. The perfect dress for work or a bridal shower. I’m exchanging for a smaller size, but I didn’t want you to miss out on this cutie. I love this floral print and ruffle hem. It will also look cute paired with a camel leather jacket in the fall. An outfit filled with fall basics. This long sleeve tee is a must for fall layers, and it also looks cute all alone. I wear these out and around the house. These are my top dark denim pick. Super comfy with just enough stretch, but they don’t get too loose. I wasn’t 100% on board with these booties when I purchased. I liked them but I didn’t know if they would work well with jeans. Ummm they do and I’m in love! You do have to cuff the jean a little higher with this pair. I love the dip in front which is great for us petite gals wanting longer looking legs. A classic fall outfit. This top is perfect with jeans and will also work for the office tucked into a pencil skirt. You can see the front dip in the booties in this pic. Thanks for taking some time out of your weekend to stop by and Happy Sale Shopping! Wow! 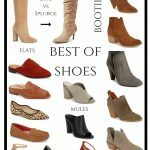 I love the slouchy boots you bought! So pretty! I love the cross body bag as well! 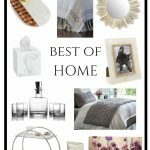 You picked some lovely things! So many great pieces. I love the boots you got and that teal top is beautiful on you!